Today I am so happy to welcome one of Moon in the Gutter's oldest friends and greatest inspirations back, the incredible Derek Hill, author of the essential Charlie Kaufman and Hollywood's Merry Band of Pranksters. This guest post is a particular treat as Derek's book, which included a large section on Sofia Coppola, was published before the release of her Somewhere so finally getting to read Derek's thoughts on the film is really exciting. Enough of my rambling though...let's get to the good stuff! An actor aimlessly roams through the affluent, insular rooms and hallways of an upscale hotel, searching for any kind of stimulus to relieve him of his emotional stasis, some kind of diversion to occupy his time before he is whisked away to yet another press junket, another photo shoot, another interview that he glides through with practiced charm and ease. The actor is bored. Although comfortable within his cocoon of luxury and unreality, he is starving for a real emotional connection with someone. Anyone. You wouldn't be reprimanded for thinking I was talking about Bill Murray's character from Sofia Coppola's extraordinary second feature Lost in Translation (2003). 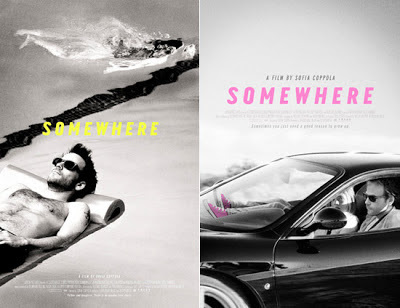 Coppola's underrated fourth movie, Somewhere (2010), also contains a similar character, action star Johnny Marco, played by Stephen Dorff. Stylistically and thematically, both movies are fascinating compliments to one another, although the earlier movie is more incisive about human nature, dreamy, and quietly poignant. 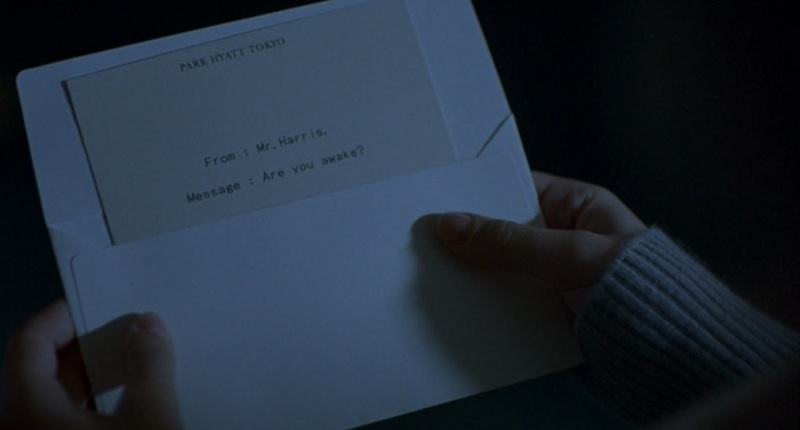 Lost in Translation also contains one of Murray's finest moments on screen and a (so far) career-best performance by Scarlett Johansson, two difficult acts to follow. But regardless of the similarities between the two movies, and there are many important ones, Somewhere is its own distinctive, vital creation and not an artistic regression. It's also the first time that Coppola attempts to burrow into the male psyche for the majority of the movie, establishing the story's point of view through Marco's eyes. For a director whose movies tend to billow with images and emotional states that can conveniently be contextualized as delicately feminine, this change is significant. Viewers invested in the three-act structure, clearly delineated plot points, and in characters that must undergo some form of dramatic change, will only be frustrated with Coppola's movies. That's not to suggest that Coppola's methodology is superior to classic Hollywood storytelling (it's not), but for her, the rudiments of commercial screenwriting 101 don't interest her. Not all movies need to chart a direct path through the wilderness of narrative. For some adventurous filmmakers, the detours from narrative are the most worthwhile moments of the trip, and it's in those strange, seemingly unnecessary deviations from the throughline and tyranny of plot when the cinematic poet blossoms. It's when the cinematic poet relates how the world really appears through their eyes, offering us a moment of reality beyond the artificiality of the screen. Coppola, so unlike her father Francis, doesn't approach story in broad strokes. 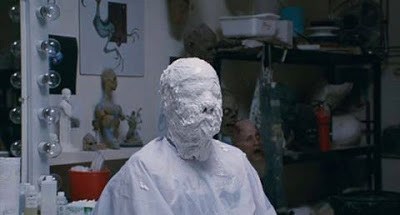 She is interested in the subtle nuances of character and visually lyrical epiphanies, allowing her actors to reveal the nature of their roles through the slow accretion of significant details. In Somewhere, we go roughly 15 minutes before any real dialogue is spoken, and even then, what is heard is banal and hardly illuminating. However, what we see is provocative and precisely revelatory. It's in the visual where Coppola and her cinematographer, the late Harris Savides, get down to business. Although still gruffly attractive, movie star Marco wanders through the legendary Chateau Marmont like a hollowed-out relic of his better days. He's still on top of the Hollywood food chain, but only for the moment. Age is slowly settling in and it doesn't take a fortune teller to point out that the golden boy is going to show signs of rust within a year or two. But he still goes through the motions for his fans, colleagues, and entourage. Marco the party boy lazily roams through a late-night party, lazily flirts with women (his pickup lines consist of either "Hi" or "Hi, I'm Johnny"), and lazily watches two twin pole dancers listlessly perform their routine for his arousal. He falls asleep and they in turn pack up their gear and exit to entertain another happy customer. Later, Marco pathetically (and hilariously) conks out with his face buried between the thighs of his latest conquest. The man is psychologically and physically spent. He's an emotional zombie. 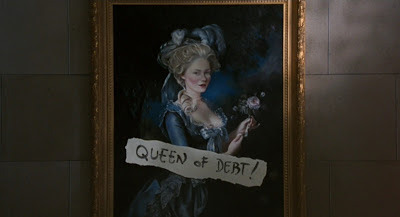 It would be easy for Coppola to eviscerate her characters, lampooning them for their absurdities and plunging the venomous blade of satire deeply, then twisting it for maximum audience ridicule. This world of hermetic affluence is one Coppola knows well, but she holds off tormenting her characters. She is not filled with self-hate. Instead, she observes her characters and their milieu with a sharp, cool perspective, but never at the expense of their humanity. Humor undercuts many scenes, particularly when examining celebrity culture, and there is a strong sense that Marco's inner life is non-existent, or at least deadened, from his steady diet of nothing. Coppola, however, is not a moralist. Her observations aren't jaundiced, even when she does poke at the pretensions of celebrity. Although their approach to filmmaking and storytelling are very different, she does share with Antonioni and Fellini that ability to dissect the world of privilege without murdering it. It's no accident that Coppola has referenced Fellini's brilliant La Dolce Vita twice. 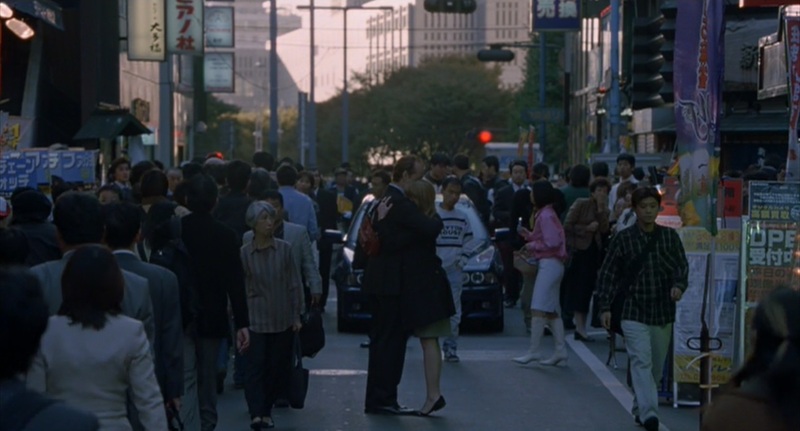 In Lost in Translation, Murray and Johansson watch the movie on television. In Somewhere, Marco puts his daughter Cleo (Elle Fanning) on a plane after their night in Las Vegas and yells to her that he's sorry he's been absent from her life, she unable to hear his confession because of the roar of the plane's engine. The scene is reminiscent of the finale of La Dolce Vita, when a haggard Marcello Mastroianni slumps on a beach in the morning sun after a long night of debauchery and engages a young girl he met earlier in the movie. Her agonizingly touching expression of love for him goes unacknowledged because he can't understand what she's saying over the crashing waves and he's too bleary-eyed to comprehend the look on her face. 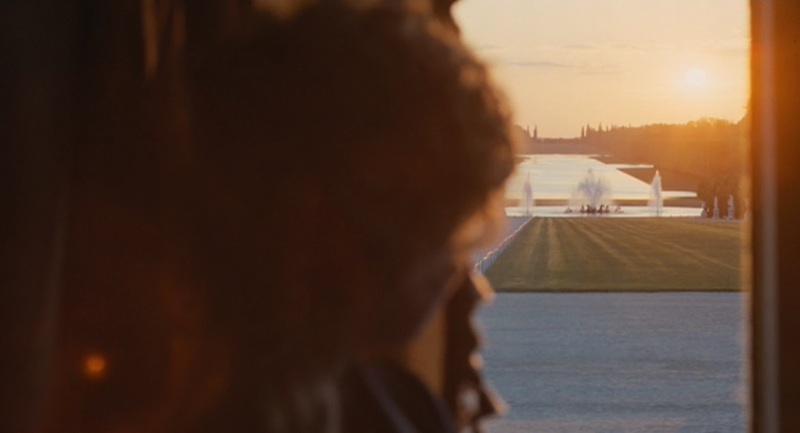 Coppola does not elevate the scene between Marco and Cleo to the profound emotional heights that Fellini went for, instead opting for her usual low-key preciseness. Later, when Marco self-pityingly calls up a woman and cries on the phone to her, she cuts him off and our wonderboy is literally left spending the night floating in a pool alone. 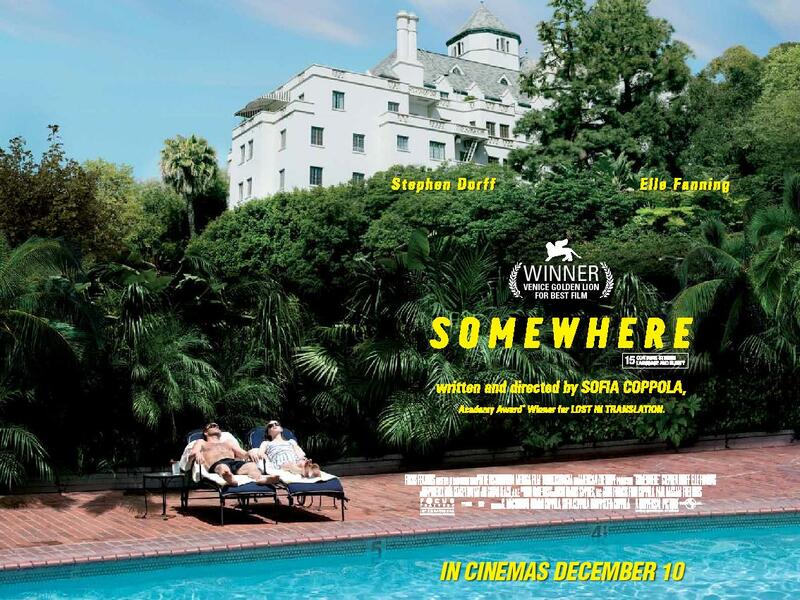 But Coppola does opt for a happy ending of sorts, albeit tinged with ambiguity and a trickle of Hollywood sentimentality. Marco has the hotel pack up his belongings and he hops into his sports car, taking off for the open road. What gives some advantage to reading this moment as optimistic for Marco, is that stylistically Coppola and Savides shoot Marco's car rigidly in the center of the frame as he drives further away from Los Angeles, our perspective always moving in a straight line… forward, forward, forward. Jump cuts accelerate the passage of time as Marco heads out into the desert. This is in direct opposition to the provocative opening shot of the movie, which is a long uninterrupted take observing Marco driving his car in a loop at a desert racetrack for several minutes, the camera stationary and only picking up a portion of the roadway. The shot selection at the end, with Marco breaking free from that interminable endless circle, and his life in Hollywood, feels exhilarating. The question remaining, however, is whether Marco is truly up for the challenge. Marko finally pulls his car over to the side of the road. The desert surrounds him. He looks tentatively aware walking away from his abandoned car. But it feels like a movie moment, as the music slowly gains piercing urgency. It feels like a moment from a Johnny Marko movie, instead of the dead end it really is. Jason Bailey recently wrote an article over at Flavorwire entitled 15 Great Female Film Critics You Should be Reading and my guest blogger Sheila O'Malley was rightfully featured on that list. For my own thoughts on Sheila, take away the 'female' in that title. She is, simply put, one of the best writers on film and music in the world and is a huge inspiration to me so I am so honored by her appearing here again at Moon in the Gutter. I don't know what to say about this piece on Bill Murray...like all of Sheila's personal pieces it is engaging, haunting, intelligent and poetic. I am beyond thrilled to present here today and thanks so much to Sheila for sharing it with us. It's the day before Bill Murray shows up in Tokyo to start filming Sofia Coppola's Lost in Translation, and Coppola, talking to the camera, wells up with tears in excitement. Even the way she says "Bill" shows her emotion about the man. She says, and she suddenly seems 11, 12 years old, "It's my fantasy ... I can't wait to see Bill in his kimono. I can't believe he's coming to do this movie. It's my dream." Bill Murray is famously elusive. He has no representation, no agent or manager. How did Coppola "get to Bill" with the offer of Lost in Translation? "Perseverance," she says. She has been open about the fact that he was her only choice for the role of Bob Harris, the sleep-deprived movie star shipwrecked in Tokyo. She didn't want to do the movie if he didn't play the role. Great things come out of such risks, such gambles, and often the great ones are the ones who have no Plan B. In a career as diverse as Murray's, there haven't been too many mis-steps, which is rare. Like Cary Grant, who managed his own career, Bill Murray keeps his own counsel, does what pleases him, and is self-protective to the point of being a total mystery. He started out in films playing weirdos, grumps, and detached anti-social anti-heroes. Ghostbusters shot him into the stratosphere, but for me, it was his sidekick role in Tootsie that showed Bill Murray's uncanny smarts about his own career. It's a small role, but, in looking back, I think Tootsie was even more important than Ghostbusters or Stripes in Bill Murray's career. It helped to express what he was really all about. 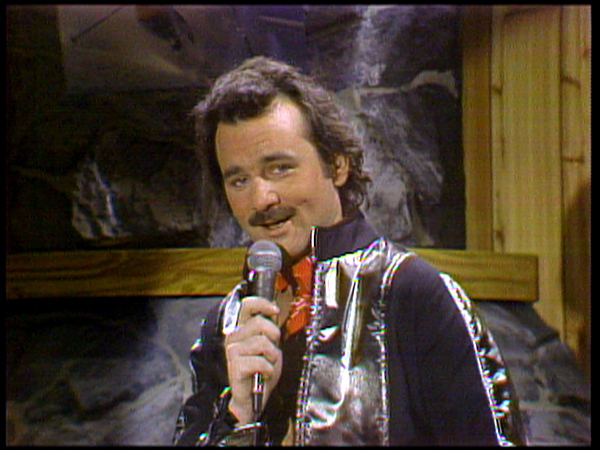 I started watching Saturday Night Live regularly during Bill Murray's first season. I was a kid, and much of the show went over my head, but there were two Bill Murray characters which struck a deep chord, both comedically (I understood why they were funny, in other words), and emotionally (I had a huge crush on him, in other words). The first one was the lounge singer, Nick Winters, whose gigs involve performing in truck stops outside the Vegas strip, a moving railway car, and other depressing venues. Nick Winters is Dean Martin and Elvis Presley in his own mind, and he bellows out his songs with gusto and flourishes, the results often being totally ridiculous. But the trick is that he honestly believes he is playing at The International Hotel in front of thousands of people. Nick Winters is totally delusional, and yet the character is not tragic, we don't feel sorry for him. What I am left with, when I watch the Nick Winters sketches, to this day, is an overwhelming sense of Bill Murray's essence. It feels laid-bare there, in a way I don't get from his other popular sketches, like the Ex-Police, or the co-anchor on Weekend Update. A real key to Bill Murray's long-lasting appeal is in Nick Winters. The other sketch that made a huge impression on me was the "nerds" sketch, with Bill Murray as Todd DiLaMuca, the geek with the pocket protector, who was best friends with Gilda Radner's snuffling-nosed nerd Lisa. What is so great about both of their performances is that underneath the awkward nerdiness and bad jokes, what they are actually playing is an ongoing subtextual love story. Every time he makes fun of her flat chest, every time he grabs her and gives her a "noogie attack", there's a tension of what might happen next. There's a hope/fear that Todd might finally do what he has always wanted to do from the beginning, which is take Lisa in his arms and kiss her like a maniac. It's a character-based sketch, the kind I love best. 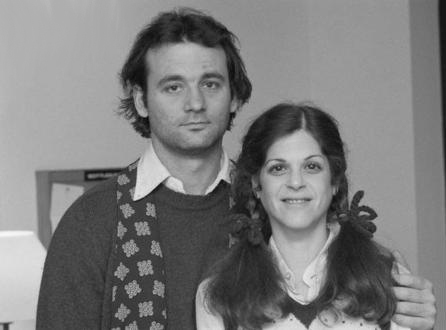 Bill Murray and Gilda Radner got a ton of laughs as Todd and Lisa, but there are also moments where the sketches almost move into bittersweet poignant territory. In the sketch where Lisa is in the hospital for an operation to correct her "deviated septum", Todd visits her, but unfortunately another student, Charles (played by host Steve Martin) also visits her. Charles has brought Lisa's homework for her, and Todd tries to denigrate his rival's thoughtfulness by sticking his finger down his throat over how gross it all is. But what's really going on is Todd is bummed out that he didn't think to bring Lisa's homework. That nerdy girl lying in the hospital bed is the hottest girl in town: men are fighting over her. And finally, in the "coda" of the sketch, when the rivals have finally left her alone in the room, she turns off the light and lies there for a minute. Then, she turns on the light, gets out of bed, goes to a chair by the door to pick up her teddy bear, walks back to the bed, and crawls into it, snuggling the teddy bear close to her. It's sweet and quiet, and the silence of the audience as they watch her shows that they will follow these two characters anywhere. Would Todd and Lisa ever kiss? Would they ever break through the joshing almost-violent dynamic they have with each other? It's vulnerable work from both of them. And in Todd DiLaMuca, we can see Bill Murray as Leading Man. Not everyone is a Leading Man, but he is, he always was. Bill Murray carries with him a slight potential of danger, we sense he could turn cruel at any moment. His detachment makes him a natural commentator on the human condition, but it can also isolate him, it can also make him unsympathetic towards his fellow creatures. Often comedians, so used to having to "get laughs", try to be likable in their film roles, they want the audience to be on their side. Bill Murray never had that problem. Groundhog Day tapped into his darkness, an essential part of him. 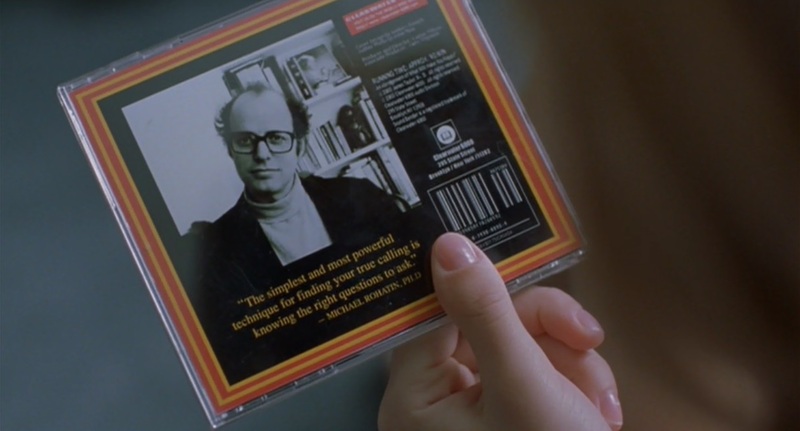 Years of character parts solidified Murray's position as one of the most interesting actors working today, and Wes Anderson jump-started a third (or fourth) wave of his career with Rushmore. There we get Bill Murray's essence, too, only now shaded with middle-aged melancholy and sour cynicism. But what would have happened to Bill Murray's career if he hadn't been convinced by Sofia Coppola's "perseverance" to play Bob Harris in Lost in Translation, which brought him his first Oscar nod? It's not a given that a role like that would have come along for him, in the natural course of things. His days as a Ghostbusters superstar were seemingly in the past. Someone had to think it up, someone had to dream about him in that way. Coppola did. I always felt fluttery with excitement when Bill Murray showed up in a movie, and this sensation has lasted, what, 30 years? That's insane longevity. Coppola was very smart in how she utilized that in Lost in Translation. Murray had to recognize that this, this role ... this one would change things for him. He said that he read the script and immediately thought, "Yes. I know this. I already know this." 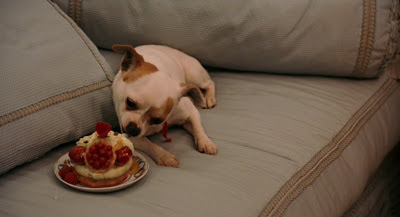 Murray was right to trust her with his carefully guarded persona. She pulled back any veils that might be between us and him and revealed all of those elements we have sensed in him from the beginning: his caustic outsider status, his world-weary eye-roll (that could either be hostile or affectionately inclusive), his well-known ambivalence about his own fame, and his surprising capacity for piercing sudden tenderness (which is what I always felt reverberating beneath his shenanigans with Gilda Radner in the "nerds"). 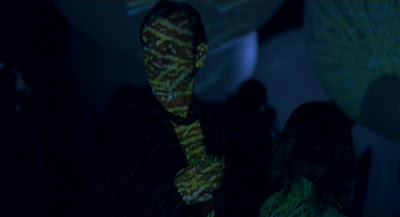 While there are so many moments I love in Lost in Translation, it is in the karaoke scene where, by some magic trick of mood, music, performance, and free-floating associations, we can see the history of his entire career, poured into the vessel created for him by Coppola. The first time I saw the scene, I honestly felt like I had died and gone to heaven. I couldn't believe it was actually happening. This ... exists now? If the scene had been self-conscious or arch in any way, it wouldn't have worked. 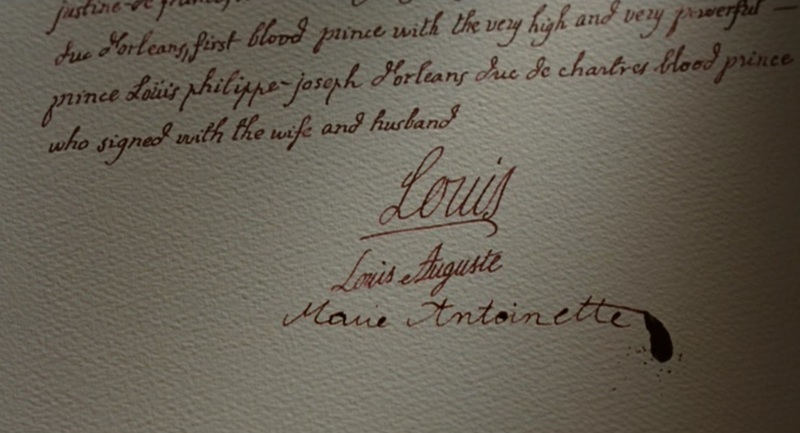 Coppola loves him, and you can tell she does by what she allowed to happen in that scene. Let him go, let him be, let him be himself, and stand back. Marvel at him. 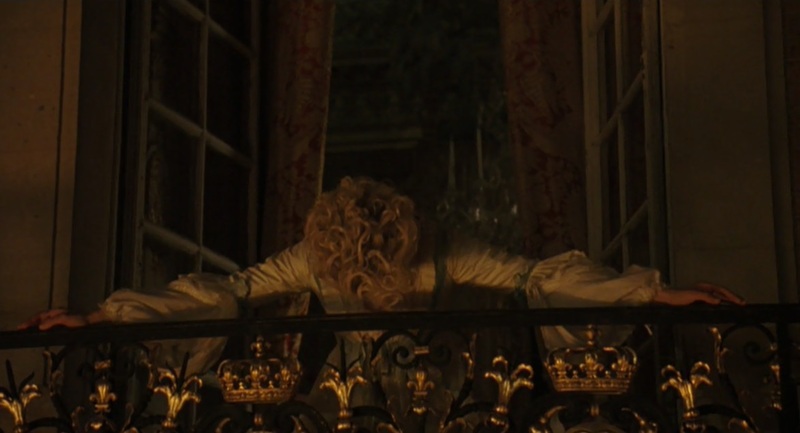 You can feel Coppola marveling at him in the way she films that scene. And she doesn't give him just one song to sing. She lets him sing two. 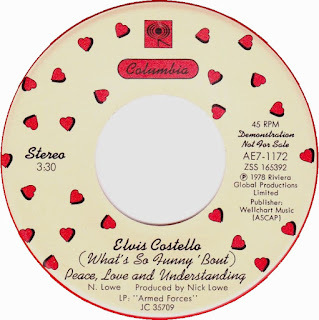 The first song he sings is Elvis Costello's "What's So Funny About Peace, Love & Understanding?" The first time I saw the scene, of course, Nick Winters from so many years ago flashed through my mind, and how happy Nick Winters was, in his own fantasy of being two steps away from being a member of the Rat Pack even though he's singing in a dive, wearing Elvis knock-offs and silk shirts opened to the navel. Bill Murray launches himself into Costello's song with gusto, and suddenly, somehow, the space gets tremendously emotional. It's almost chaotic. The emotions are there in how he sings the song, certainly, but it's how Coppola films him as well. It's almost like he's in a stadium, singing to the cheering masses. While you get the sense that this is the most fun Bob Harris has had in years, there is also a wild sadness underneath it, so wild that it is probably frightening to even acknowledge its existence. That wild sadness was always there in Bill Murray's work. It's never more palpable than in this scene. Scarlett Johansson, in her pink wig, then gets up and sings The Pretenders "Brass in Pocket", expressly doing it for Bob, who is so relaxed by this point that the openness of his face is actually a little bit heartbreaking. But Coppola is not done with this location, this event. We then see Scarlett, holding the mike, and saying, to an imaginary crowd in an ultra-serious voice, "Ladies and gentlemen. Bob Harris." He takes the mike, and admits to her, "This is hard." The way he says that line encapsulates everything I have loved about Bill Murray from the very start of his long career. Again, it's like he's Nick Winters, lost in the fantasy of being some tormented rock star about to sing a ballad he wrote that means a lot to him and it's going to be "hard" to get through it. Bill Murray knows it's funny, Bob Harris knows it's funny, and then, like quicksilver, the moment passes, and he starts to sing "More Than This", and this signifies a swoon into another mood, a quieter one. He's no longer standing, like he was for the Costello number, but sitting beside the pink-wigged young woman who has suddenly come into his life, and he hasn't slept in four days, and the way he sings the song makes it sound like it is coming from out of the dream he wishes he was having. More than this tell me one thing More than this there is nothing." 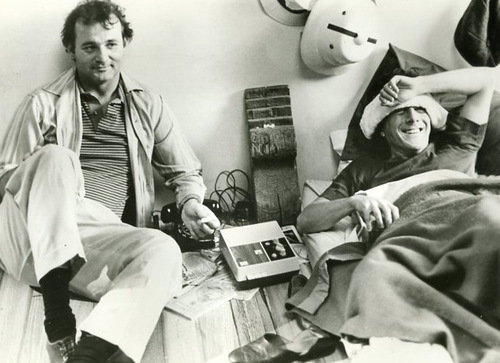 Bill Murray has always been a little bit hard to pin down. I think he likes it that way. I think it's one of the reasons why his career has lasted so long, and has had so many interesting dips and turns. He resists classification, and has always stood a little bit outside of the normal path. If he is going to lend his persona to a director it has to be for a damn good reason. Sofia Coppola gave him a damn good reason. She had been dreaming about him for years. It shows. 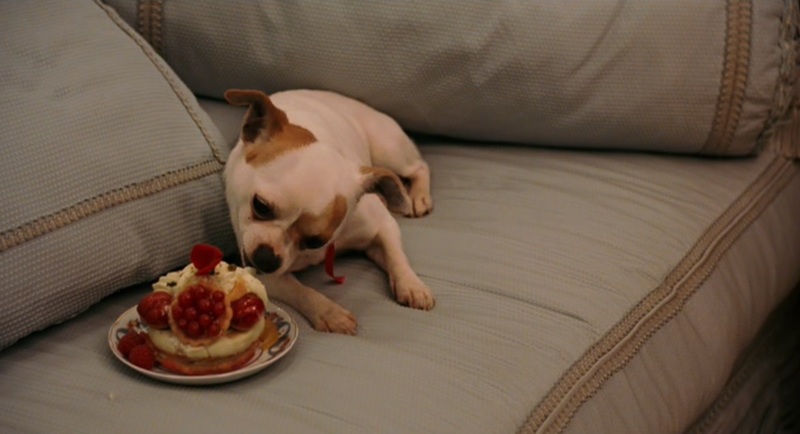 There's a reason why Bill Murray refers to her as "The Boss". In 1999, Sofia Coppola made her feature film directorial debut with the spellbinding adaptation of Jeffrey Eugenides’ novel, The Virgin Suicides. The film was a modest hit and heralded the young director as an emerging talent. Her follow-up was a much more personal project, written while she was going through a rough spot in her marriage and inspired by time she had spent in Japan trying to figure out what she wanted to do with her life. 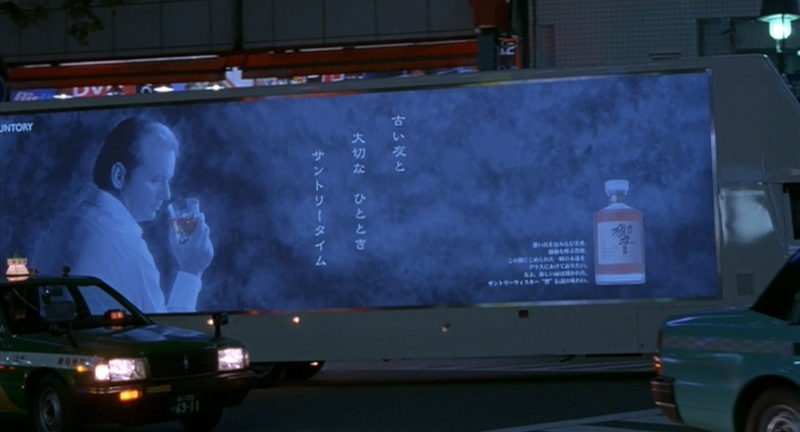 She poured out her feelings of loneliness and confusion and the result was Lost in Translation (2003), an independent film starring Bill Murray and Scarlett Johansson as two lonely people who meet in a posh Tokyo hotel and bond over insomnia and absent spouses. Coppola’s film is a fascinating fusion of the chatty meet-cute between two people in a foreign country from Before Sunrise (1995) with the stylish existential ennui of Wong Kar-Wai’s In the Mood for Love (2000). It was a surprise hit, striking a chord with many who identified with the romantic longing that developed between the two main characters. 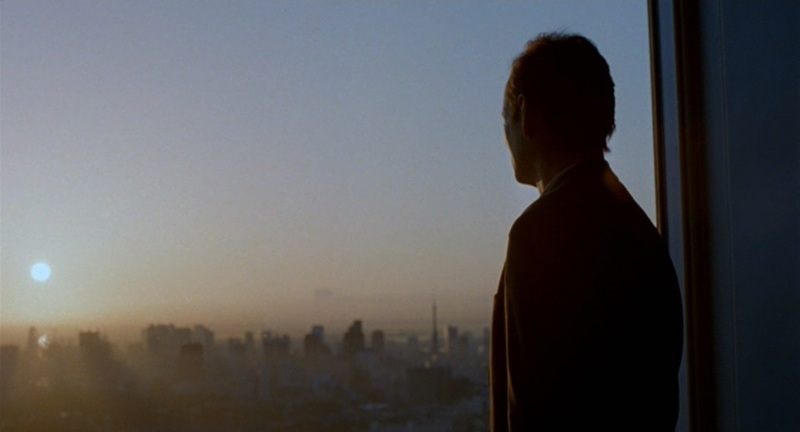 Lost in Translation received numerous awards and critical praise while also establishing Coppola as a major talent. With the first appearance of Bob Harris (Bill Murray), Coppola conveys that disorienting feeling of arriving in a strange place while being jetlagged. In this case, it is the neon-drenched urban sprawl that is Tokyo. He’s making a whiskey commercial instead of being at home where his wife is redecorating his study. 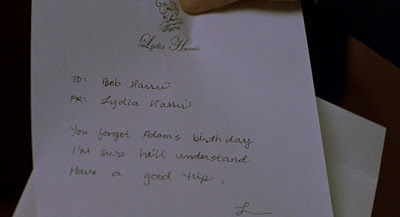 Bob is also missing his son’s birthday and doesn’t seem all that upset about it; or rather he’s resigned himself to it. One gets the feeling that he’d rather be thousands of miles away than with his family. He’s an aging action movie star who has probably spent most of his time on movie sets. Charlotte (Scarlett Johansson) is staying at the same hotel with her photographer husband John (Giovanni Ribisi). Much like Bob, she can’t sleep and stays behind in the hotel while he runs off on photo shoots with a band. We get some insight into how she’s feeling when the young woman calls a friend back in the United States. They start with the usual idle chit-chat, but pretty soon she’s choking back tears and blurts out, “I don’t know who I married,” before quickly ending the conversation so she can cry. It is an incredibly vulnerable moment that Scarlett Johansson conveys so well. All the feelings that have been bubbling under the surface finally come out. We’re never quite sure the source of marital strife between her and John, but it is probably getting married too young and that he is always busy while she follows him from job to job. Bob bravely soldiers on through the commercial, but it isn’t made easy by his translator who is not telling him exactly what the director wants. 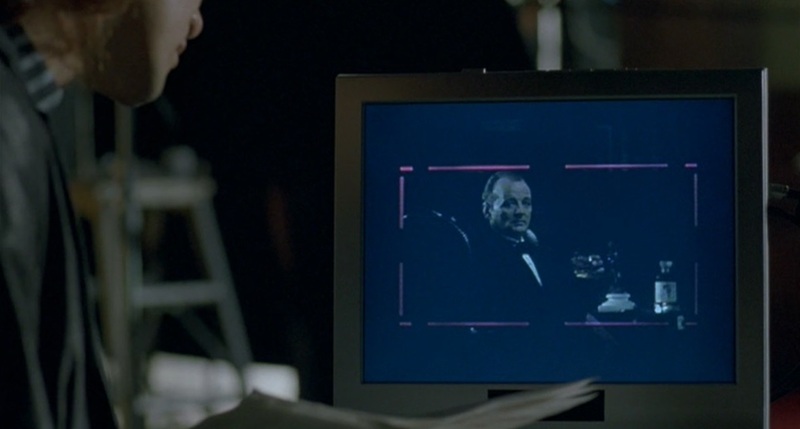 Coppola doesn’t use any subtitles during this scene so that we are as bewildered and frustrated as Bob. Like Charlotte, he is unhappy; tired of pimping whisky and is eager to leave the country as soon as possible. That night, he takes refuge in the hotel bar where the house band (an ex-pat. group rather amusingly named Sausalito) performs a bad cover of “Scarborough Fair,” much to his and Charlotte’s bemusement, who is there with John. She buys Bob a drink and they exchange a nod of acknowledgement from across the room, but don’t actually meet. This is the beginning of relationship that develops between these two lonely people who feel lost in Japan and find solace in each other’s company. 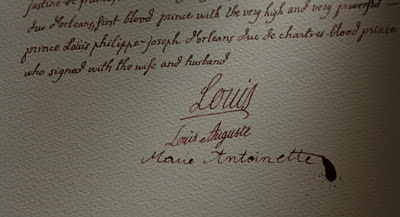 As the film progresses, we get additional insight into the Charlotte and John’s relationship. Her feelings of estrangement are only reinforced when she and John run into Kelly (Anna Faris), a popular American actress in town to promote her latest movie (her press conference is a hoot as she spouts all kinds of cliché celebrities dish out during these kinds of junkets). John and Kelly engage in mindless banter (“Oh my god, I have worst B.O. right now,” she says at one point), much to Charlotte’s bemusement and thinly-veiled contempt. She has just graduated from college last spring and isn’t sure what she wants to do. In his own dry way, Bob has no illusions about his lot in life as he tells Charlotte that is trip to Japan is basically, “taking a break from my wife, forgetting my son’s birthday, and getting paid $2 million for endorsing a whiskey when I could be doing a play somewhere.” Bill Murray delivers a wonderfully nuanced performance that expands on the sad sack businessman he played in Wes Anderson’s Rushmore (1998). 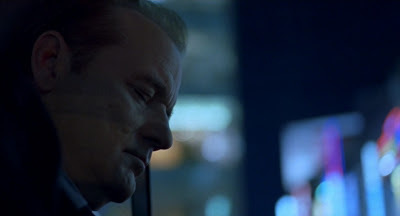 Much of the role in Lost in Translation calls for his trademark charm and dry sarcasm, but it also requires him to dig deeper the more time Bob spends with Charlotte, allowing her past his façade. In doing so, Bob lets us in as well and we sympathize with the actor because we get to know him as he reveals personal details to her. Towards the end of the film, Bob’s relationship with his wife gets more fractured as she tells him how their kids miss him, “but they’re getting used to you not being here. Do I need to worry about you, Bob?” to which he replies, “Only if you want to.” This is quite possibly the most heartbreaking line in the film as one assumes that Bob is probably headed for a divorce once he returns home. His self-destructive habits surface and we get some insight into why he and his wife are so estranged. This also affects his friendship with Charlotte and the temporary spell that was cast over them has been lifted and reality rears its ugly head. Interspersed throughout Lost in Translation are little visual interludes, like a nice shot of Charlotte sitting on the windowsill of her hotel room with the city surrounding her in the background, that suggest solitude. There is also a montage of sights and sounds when she leaves the hotel to experience Japanese culture, but finds navigating public transportation a bit disorienting and overwhelming, which Coppola conveys through hand-held camerawork that puts us right in the thick of the city’s hustle and bustle. We see Japanese culture through Charlotte’s eyes and Coppola does a nice job with these snapshots, gradually immersing us in this world so that we identify even more with Bob and Charlotte. 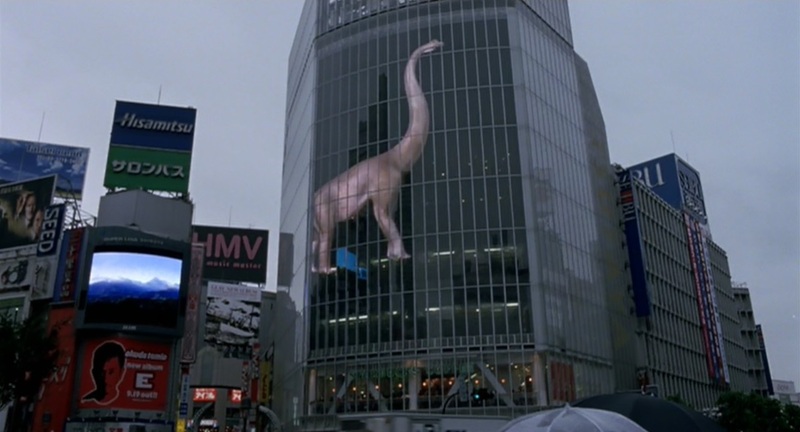 The centerpiece of Lost in Translation is when Bob and Charlotte go out for a night on the town and meet a few of her friends. This sequence not only allows us to see more of Japanese culture, but it also gives Murray a chance to riff on the situations and people Bob and Charlotte encounter. Coppola immerses us fully in the sights and sounds of the city, like the nightclub that is decorated with huge white weather balloons that allow images to be projected on them. If, early on, Coppola seemed to be falling back on Japanese stereotypes of their people and culture (most notably the prostitute who wants Bob to “rip her stockings,” which is particularly cartoonish and awkward, temporarily breaking the hypnotic, dreamy spell that Coppola casts), it is here she goes deeper and we see that Charlotte’s Japanese friends are just like any other twentysomethings. There are all kinds of nice touches, like the conversation Bob carries on with a young Japanese man in French, or the playful image of Bob, Charlotte and their friends running through the streets while someone shoots at them with a BB gun. The night culminates in the best moment where they all hangout at someone’s apartment and end up singing karaoke. Charlotte (wearing an adorable pink wig) serenades Bob when she sings a cover of “Brass in Pocket” by The Pretenders while Bob sings “(What’s so Funny ‘Bout) Peace, Love and Understanding,” before working his way through a surprisingly moving rendition of “More Than This” by Roxy Music. Charlotte doesn’t know what she wants to do. She tells him that she tried writing and photography, but was unhappy with both. Charlotte asks Bob about marriage and if it gets any easier to which he replies, “That’s hard,” and speaks wistfully about how he and his wife used to have fun, but everything got complicated once they had kids. It’s a wonderful scene where we see these characters at their most vulnerable. Murray drops all his shtick and conveys an honesty that is surprising. What is so magical about it is how these two characters are able to coax all of this personal stuff out of each other. Once they are removed from all the noise and chaos of the world around them are they able to speak honestly to each other and let down their guard. By this point, we’ve grown to care about them and have become invested in their relationship. Coppola started off writing different little impressions she had of her time in Tokyo. From that, she wrote a bunch of short stories and collected pictures for the visuals. She then used that as the basis for her screenplay. 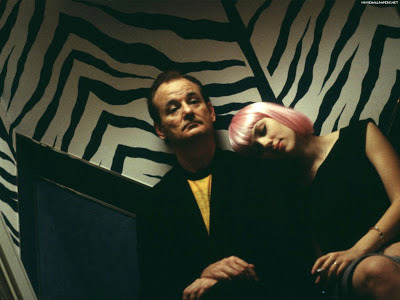 When writing it, Coppola based the character of Charlotte on herself when she was younger and faced the dilemma of “What am I gonna do?” The character of Bob Harris was written with Bill Murray in mind and came out of her imaging what he would be like in Tokyo. She said, “He has something that’s really sincere and heartfelt, but really funny and at the same time … tragic.” She was a fan of his movies and always wanted to work with him. Several moments in the film came from things she had observed in real life, like the hotel bar band covering “Scarborough Fair,” and seeing her friend Fumihiro Hayashi performing a karaoke rendition of “God Save the Queen.” After seeing her friend in action, she realized, “I have to put this in a movie.” She also wanted to specifically set it at the Park Hyatt hotel because she had stayed there during her press tour for The Virgin Suicides and was familiar with it. Coppola spent six months writing the script and during that time she got stuck after the first 20 pages and went back to Tokyo to remember the parts of the city she liked. Coppola saw Scarlett Johansson in Manny & Lo (1996) and thought she was “a cute girl with that husky voice.” After a brief lunch meeting in a Manhattan diner Coppola cast the young actress in her film. The director said, “She can convey an emotion without saying very much at all.” With Murray, Coppola spent eight months tracking down and trying to convince the notoriously elusive comedian to star in her film by sending him letters, leaving voicemail messages and asking mutual friends, like filmmaker Wes Anderson, to put in a good word. All of this hustling paid off as Murray finally agreed to do the film. However, the actor had his doubts: “The whole thing felt slight, which was a little troubling,” but she was persistent and convinced him that this was a passion project for her. Coppola did very little rehearsing before filming; just once with Johansson and Giovanni Ribisi so that they could convincingly play a married couple. Leading up to principal photography, Coppola was still unsure if Murray was actually going to show up, but a week before it was to start he arrived in Japan, much to her relief. The shoot lasted 27 days in Tokyo on a $4 million budget with the cast and crew staying in the Tokyo Hyatt where much of the film was set. Johansson met Murray in Tokyo and the next day they started filming so the chemistry that develops between their characters mirrored the actors in real life. With very little money and shooting permits, Coppola and her small crew shot a lot of the film guerrilla style, utilizing hand-held camerawork on the streets and sneaking shots on public transportation. Much like many of the protagonists in Wong Kar-Wai’s films, Bob and Charlotte connect for a brief moment in time. It may be fleeting, but that does not diminish its significance. They were there for each other when they needed human contact the most, someone to connect with at a low point in their respective lives when they felt alone and adrift in life. 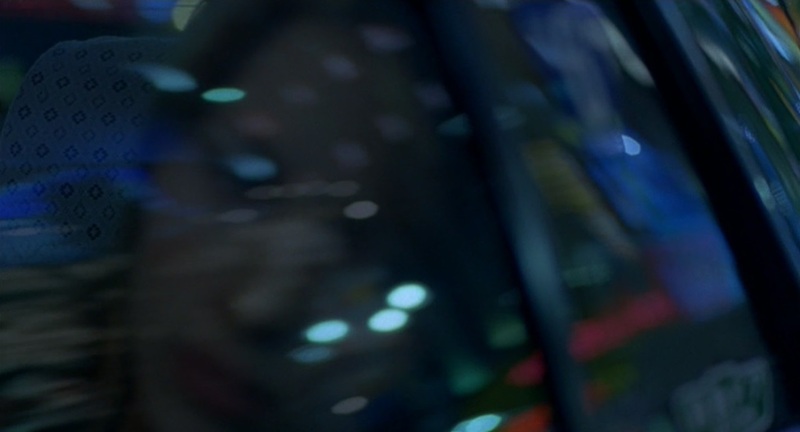 We’ve all felt this way at some point in our lives, which makes Lost in Translation very relatable. There is a yearning, not just by the characters, but we are meant to feel it too because we want to see Bob and Charlotte together despite their marriages to other people. Coppola sums up this wistful feeling of unrequited love best in the final scene that is scored to “Just Like Honey” by The Jesus and Mary Chain. Bob hugs Charlotte and whispers something unintelligible in her ear when the opening drumbeat of the song kicks in. It is a sublime moment that is rich with emotion because we’ve been on a journey with these characters and are invested in them. 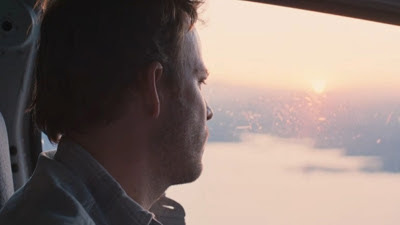 Bob and Charlotte head back to their respective lives, much like the main characters at the end of Before Sunrise, with the knowledge that their lives have been enriched by the brief time they spent together. Coppola ends on a series of shots of the city, but they look different because of the journey we’ve been on with these characters. We now see things in a different way. 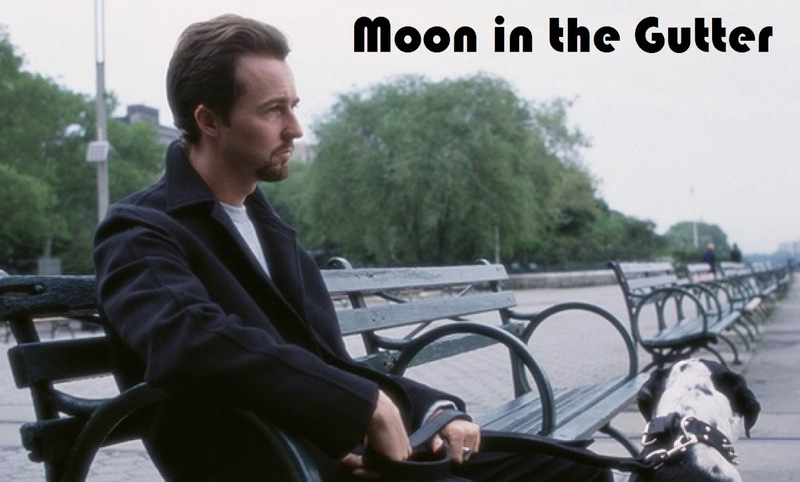 I am very happy this morning to present the first guest post for Moon in the Gutter's Sofia Coppola tribute month. 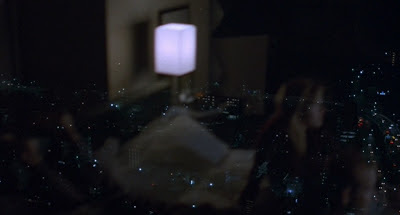 John Levy is a fine filmmaker, a great cinephile and a friend so I am very honored that he has been kind enough to write up this fine tribute to Sofia's masterpiece Lost in Translation. Hopefully some of you will remember the Q&A I did with John awhile back and I hope all of you will check out some of his own exceptional work after reading this piece. Thanks again John for taking the time to write this! 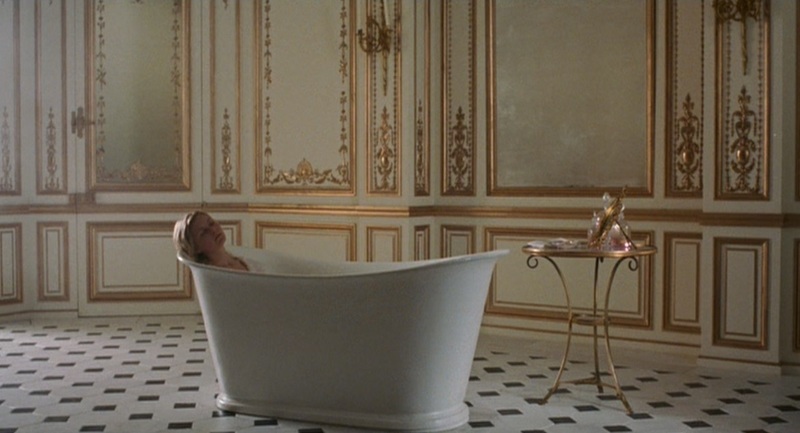 There are many, many aspects I love about Sofia Coppola’s films. Two things in particular have to do with her subjects. One; Where most films put ordinary people in extraordinary situations, she puts some-what high profile people into extraordinarily ordinary situations. And two; The way she explores connection. Be it lost or found. 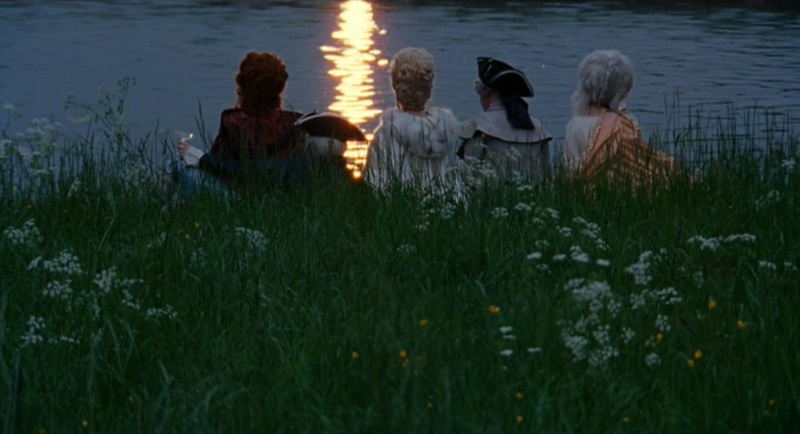 Like Antonioni, Sofia Coppola has a strong cinematic sense of spaces, isolation, dislocation, and loneliness. And the ability of portraying a romance of introspection and longing for connection with people as well as environment in individuals who are searching. So far (having not seen THE BLING RING yet), one, often more of these themes are present in all her work. It’s what draws me back to her time and time again. I have a handful of go-to insomnia films I watch when I can’t sleep. They’re not films that put me to sleep, but rather films that comfort me when I cannot. LOST IN TRANSLATION is right at the top. And though grounded in a completely plausible and most certainly autobiographical reality, the first half of the film has a dreamlike quality. The brief title shot of Charlotte’s restless slumber, you fall right into like a jet-lag crash. Fading to black and into the dreamy ‘Death In Vegas’ track “Girls” as Bob Harris awakens in transit to the Tokyo night. The first act is like a sleepwalk. These two characters never sleep soundly again in the film until after they’ve made their connection and fallen in a respite of love with one another. After which point the rest of the film becomes an awakening. For all it’s humor, the film quietly tackles some difficult themes. Difficult to film and difficult to pull an audience into. It’s truth is internal. It cannot be expository. The film’s tagline ‘Everybody Wants To Be Found’ - Though almost generic sounding is one of few movie taglines that really does carry some weight in representing the film as well as remaining completely simple and universal to the audience. It’s easy to say Bob is just having a mid-life crisis and Charlotte is having a tough go at young adulthood and married life. But it’s not as much about how they’ve become lost to themselves, but rather like Charlotte says at one point, “I’m stuck”. They are lost among the world and their designated lives. Searching for a re-connect out windows, along crowded sidewalks and through Hotel hallways. As Bob says at one point jokingly, “Can you keep a secret? I’m organizing a prison break.” He in a sense is. Searching for comfort in hotel amenities and the prospect of sleep. And so is she. Watching, searching from her window. Her self help books. Her outings to temples and chants. Her calls back home. 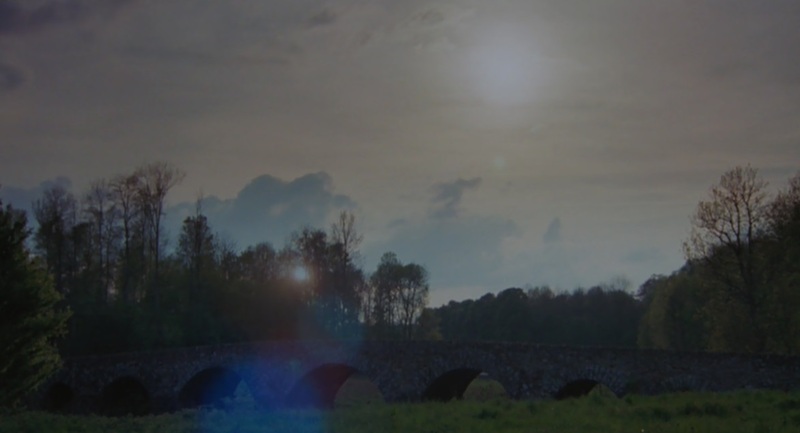 How do they break free of these designated identities and get back to themselves when they are a world away from home? With each other. And only such a fault in life’s design can occur in a Hotel Bar, in the middle of the night, in Tokyo Japan. Or a scenario of the sort. “I’m looking for an accomplice. Are you in or are you out?” “I’m in.” She replies. These two negatives form a positive unconditional alliance after their first drink together. And though challenges in a relationship will be faced, there is ultimately nothing they can say or do that is wrong. Bob wants the real Charlotte and Charlotte wants the real Bob. And this is their moment. Wabe Sabe and all. And they can be their best selves with each other in that place and time. The moment this connection is solidified is during the scene in the karaoke suite. 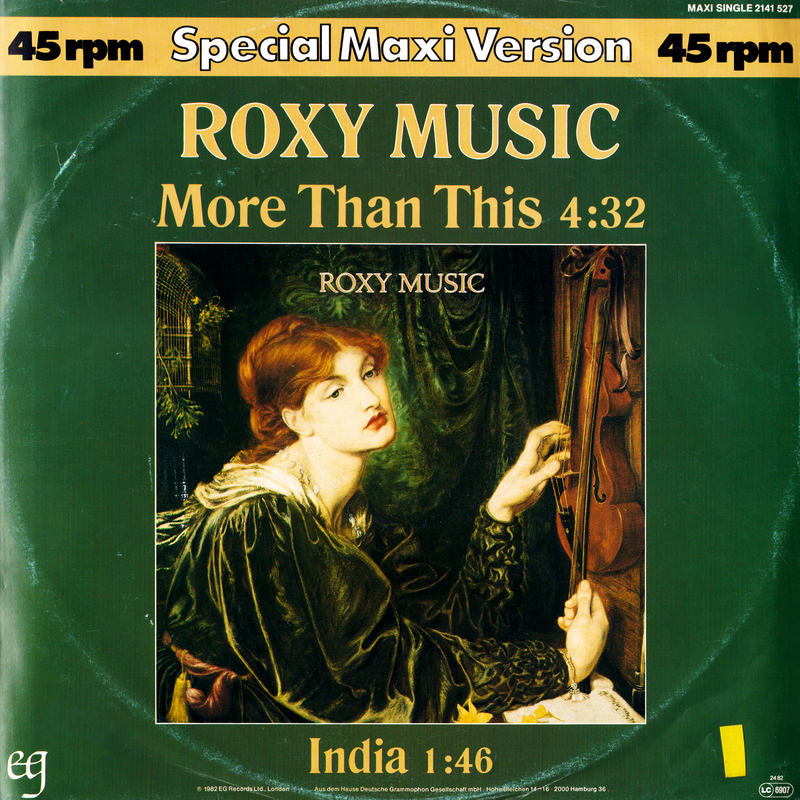 When Bob croons Roxy Music’s ‘More Than This’ directly to Charlotte, their eyes converse over the music. They open their hearts to one another. It reminds me of a scene in the 1951 film SEPTEMBER AFFAIR where Joseph Cotton and Joan Fontaine, two strangers sharing a space, a moment in time together in Naples, duck into a small cafe. They have been enjoying their short time together between flights without being fully aware how much. Sifting through some American records, they select one (September Song by Walter Huston) and drop a needle on it. And then it happens. The words exact the feeling between them. There is an emotional conversation taking place without dialogue. The words of the song say everything. The short precious time they have together. The strange land they find themselves in. They are at home with each other. They are themselves with each other. The past and the future cease. How this happened and where it is going doesn’t seem to matter. There’s nothing more than this moment. This brief and precious moment that must pass. 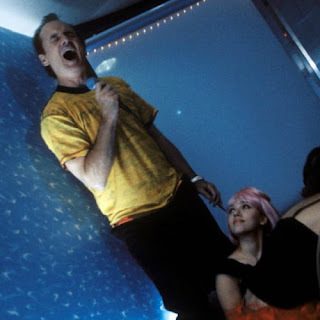 The Karaoke scene in LOST IN TRANSLATION is exactly this same kind of moment. From Roxy Music to the shared cigarette in the hall, we watch two people slip into love. These moments are easily overlooked in both life and film. It’s deeper than carnal desire. It’s beyond surface. A soul attraction. A sense of being at home with a person. 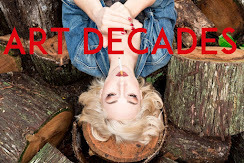 In their designated lives, Bob and Charlotte stop fitting in peoples “picture” of what they are supposed to be and they become distanced from the person they actually are after everything else - Career, social circle, even family are stripped away. They are kept around, involved, but they are an annoyance. They’re in the way. And yet they’re expected to participate in the constant refurnishing of their designated life. Who are they after all this? Where they live as well as where they travel are foreign lands where no one speaks their language anymore. They seemingly go unrecognized through life. But in some pocket of space and time - be it a Naples cafe, a curb side embrace, Hotel bar or a karaoke booth in Tokyo - they’re found again. They find that lost piece of themselves because the other shines a light on it. It’s as if they ended up with each others baggage because it looks similar. They recognize one another. And between them, not a goddamn thing is lost in translation.